Capital Maputo, cities of Xai-Xai, Beira, Nampula, Quelimane and Pemba. Indian Ocean Channel. Maps of Border Countries: Kenya, Zambia, Angola, Tanzania, Republic of Congo, Gabon, Equatorial Guinea, Uganda, Swaziland. 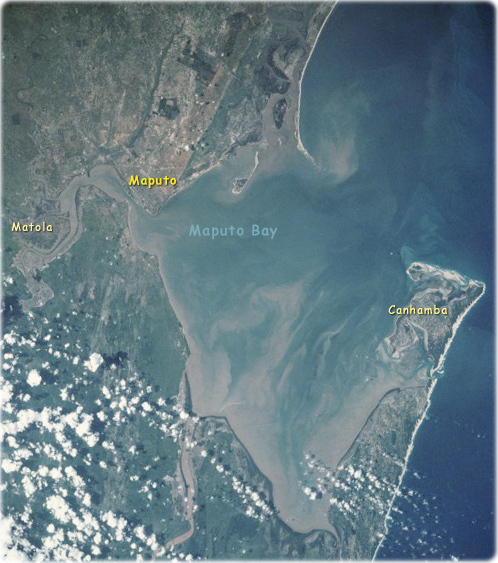 Maputo, the capital of Mozambique, and Delagoa Bay are visible in this photograph. 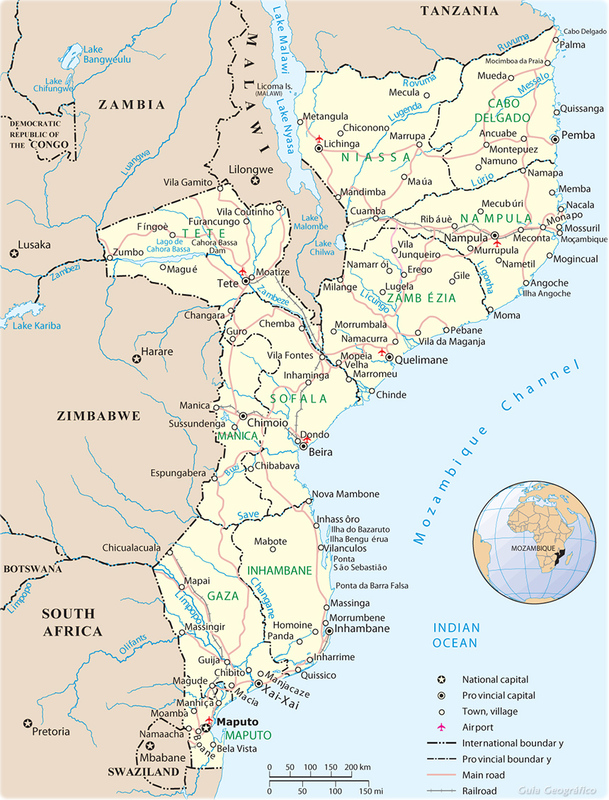 Maputo, surrounded by low-lying swamps, sits on the north bank of the Maputo River, which empties into Delagoa Bay, an inlet of the Indian Ocean 90 km long and 32 km wide. Maputo has extensive modern port facilities and exports coal, cotton, sugar, chrome, ore, and hardwood. The city’s main manufacturing products are food, beverages, cement, pottery, furniture, shoes, and rubber. Year-round temperatures are high, and rainfall is governed by monsoons. Children playing football on the beach of Maputo. Copyright © Geographic Guide - Maps of Africa, Travel and Tourist map guide. Ciudad Autónoma. Border with Malawi.